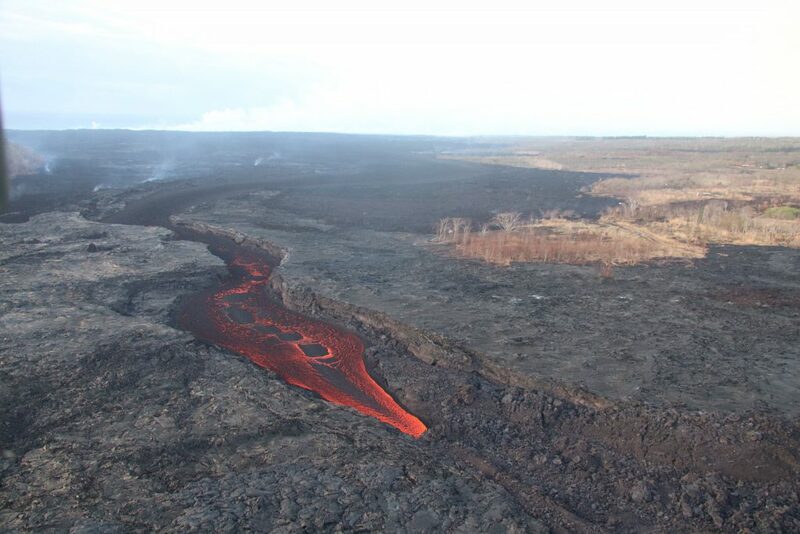 The lava flow from Fissure 8 in the Lower East Rift Zone of the Kīlauea volcano is greatly diminished and deflation at the summit of Halema’uma’u has slowed with few, if any, felt earthquakes, according to the Hawaiian Volcano Observatory. Meanwhile, the summit of Halema’uma’u is very quiet, and has slowed deflating, with few if any felt quakes. The last collapse event at the summit was noon on Thursday, Aug. 2, 2018. 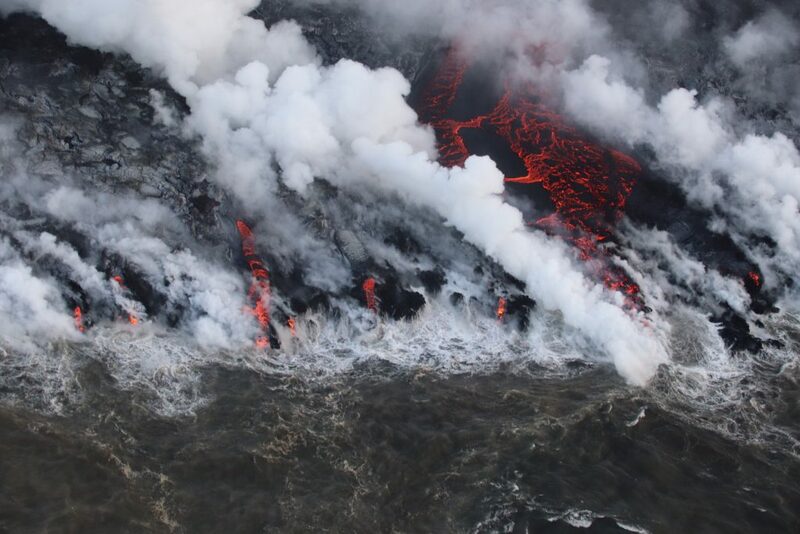 The HVO reminds the public to be aware that the hazards associated with the eruption that began May 3 remain, including active lava in the channel flowing from Fissure 8 into the ocean. There was also a significant increase in gas emissions from Pu’u ‘O’o on Friday. 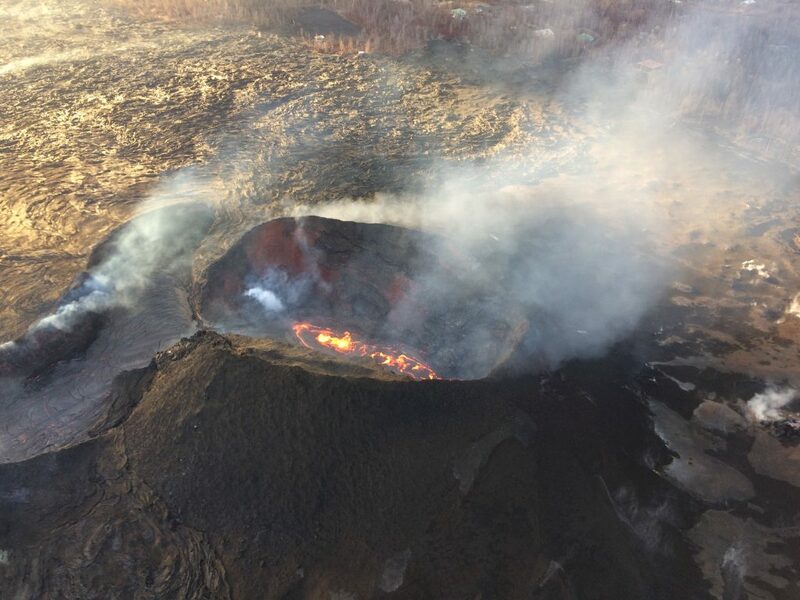 “It could be weeks or months before we feel comfortable calling the eruption and the summit collapse over, said Tina Neal, the scientist-in-charge at HVO. She noted that it is typical for eruptions to wax and wane. Work on an emergency bypass road adjacent to Highway 11 in Volcano is ongoing. 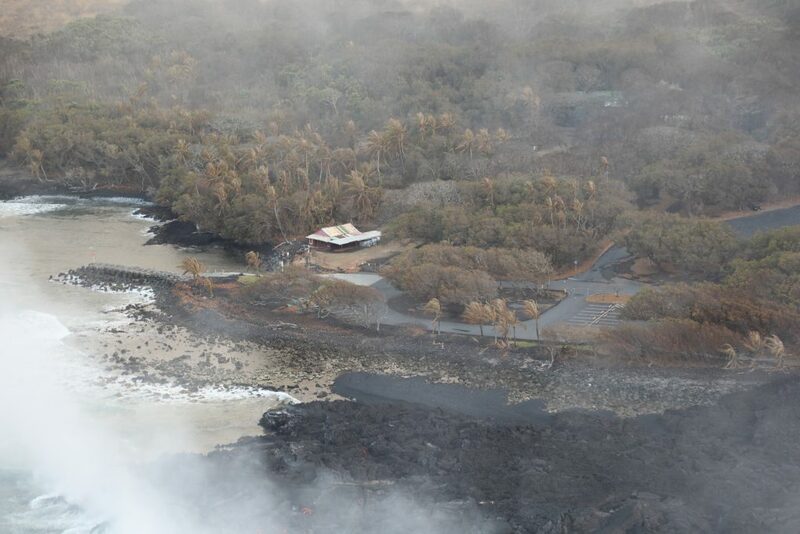 The tremors at the Halema’uma’u summit have destabilized Highway 11, the only artery connecting Ka’u to the rest of the island. The County is cooperating with Federal and State agencies on the construction of the two-mile bypass. There is no precise time frame on when the bypass road will be completed, but the County recognizes the urgency of the situation as the new school year starts this week.